Kevin Smith recently revealed that he pitched Mallrats 2 to Netflix, Hulu, and Showtime two years ago. However, they all decided to pass on the sequel. It’s been 25 years since Mallrats hit theaters, and Smith fans have been asking about a sequel practically ever since then. While the sequel has been passed on, Smith hopes that the Jay and Silent Bob Reboot will change their minds and we’re all hoping the same thing. One can imagine that Kevin Smith gets asked about Mallrats 2 quite often. Earlier this week, a fan on social media asked the director about it, and Smith replied by letting everybody know that he had seriously pitched it two years ago and that it was passed on. Smith said that Netflix doesn’t “feel the same way you do.” The fan suggested that the sequel could even be turned into a Netflix series, which isn’t a bad idea at all, and an idea that Smith toyed with a few years ago. Kevin Smith has wanted to make Mallrats 2 for a long time now and even had the idea of calling it Mallbrats for a while, which was originally going to be a movie, and then a TV series. The original movie came out in 1995 and was the follow up to 1994’s Clerks, though it takes place before the first movie. It made over $1.2 million in its opening weekend and has gone on to become one of Smith’s most adored movies by fans, though it received mixed reviews from critics at the time. While Mallrats 2 isn’t going to be happening any time soon, Kevin Smith is currently working on Jay and Silent Bob Reboot. Smith has been promising this sequel for a few years and finally announced on New Year’s day that pre-production had officially started. Co-star Jason Mewes gave an interview late last year and said that he expected filming to begin on the sequel early this year, which could still end up happening. As of this writing, the project has secured funding, but we have not heard anything about the casting process, other than the fact that Mewes and Smith will be in the sequel along with some actors from The CW’s The Flash including, Grant Gustin, Tom Cavanagh, and Carlos Ramon, who will have cameos. Jay and Silent Bob Reboot could be the shot in the arm that gets others to realize that we need Mallrats 2. Hopefully the sequel does well enough to get the next one made in the near future. Regardless, we still have Jay and Silent Bob returning to the big screen, which is pretty exciting on its own and more than enough to keep Smith fans happy for a while. 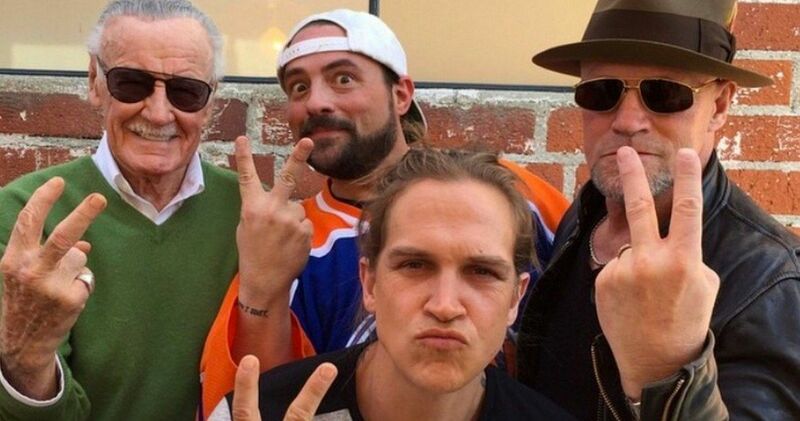 You can check out the Mallrats 2 update below, thanks to Kevin Smith’s Twitter account.